It seems cliche to say that this school year has absolutely flown by. However, it is now April and we only have 2 months left of the 2017/18 school year. Even though only a short time is left, we have multiple opportunities for involvement and participation coming up in April and May. Beginning Tuesday, April 10, all students in grades 3-5 will begin taking the MAP assessment. Testing and make-up days run from April 10th-May 4th. Please make sure your child is on time to school those days, has plenty of rest at night, and eats a healthy breakfast. All of our students and teachers have worked diligently this year to prepare for this test. We want our students to "show what they know" on those days. Please encourage you child to do their very best. Our Kindergartner and 4th grade will be having their annual music programs in April as well. The Kindergarten performance will be on April 19th at 6:30 pm at New Mark Middle School. The 4th grade performance will be on April 30th at 6:30 pm at New Mark Middle School. We ask all guests to wait in the New Mark Lobby until 6:25 pm so students can finalize their performance with minimal distractions. Learning does not end just because we finish our state tests. We will continue to involve your child in deep, rich learning experiences that will set the foundation for success.. I hope to see you at some of our activities. 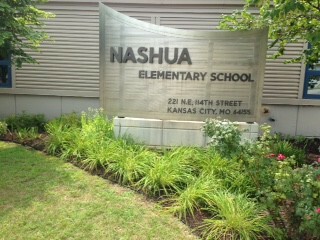 As always, it is a privilege to serve as the principal at Nashua Elementary! Looking for something to do this summer? Staley has sports camps and activities for all ages! Check with Coach Alfrey for more information! Class placement is a team decision here at Nashua with many factors taken into consideration. If you feel your child has specific needs to be considered, please contact the office for a form. All forms must be returned to the office by Tuesday, April 19th. We will not honor specific teacher requests. All summer school enrollment forms must be turned into the office by April 20th. We will not be taking enrollment forms after this date. As in years past, we do have a large enrollment for XLT. To ensure your spot this summer, please turn your forms in early as classes are formed on a first come first serve basis. · PTA Meeting at 6 PM on April 17 in the Nashua library - all are welcome! · Family Fun Night Game Makers needed! FFN is on May 4th - set up at 4:30 PM. Make a game for one of these classrooms for Family Fun Night. Sign up at bit.ly/NashuaClassVolunteers. Learn more about Family Fun Night at bit.ly/NashuaFFN. · Want to help, but your child's class already has a game maker? We also need adults to help with the raffle and voting tables. Sign up at bit.ly/NashuaClassVolunteers. · Get involved at Nashua! We have several open positions for next year. · If you want these events at your child's school, PTA needs you!